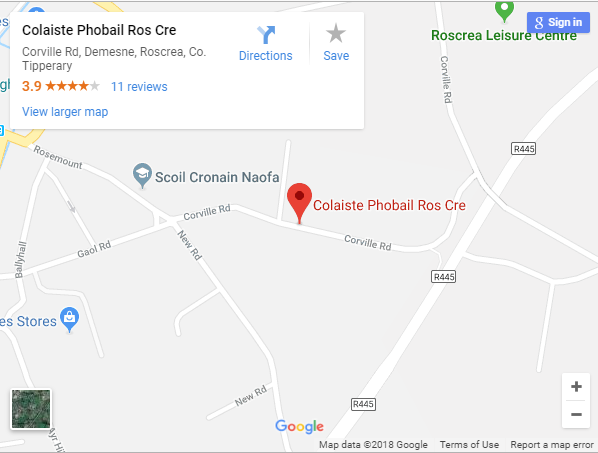 It’s all systems go for our fundraising concert in aid of Pieta House next Thursday 11th April at 7.30pm in the Church of Ireland Roscrea. It promises to be a wonderful night of music and song by the students of Coláiste Phobal from 1st to 6th year. Tickets can be purchased from the school reception on 0505 23939 or on the door on the night. All support is greatly appreciated and going to a very worthy cause. 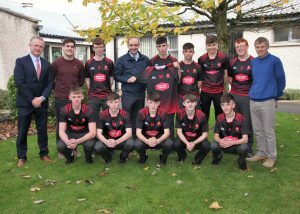 There was a presentation of Jerseys to the Senior team which were kindly sponsored by Obama Plaza. Henry Healy, Manager of Obama Plaza presented the Jerseys. Our thanks to Obama Plaza for their sponsorship which is much appreciated. Final submissions are now being taken for the school yearbook. It will be going for print over Easter and we look forward to seeing the finished product when we return for the final school term. All year group photos were taken this week for the yearbook. 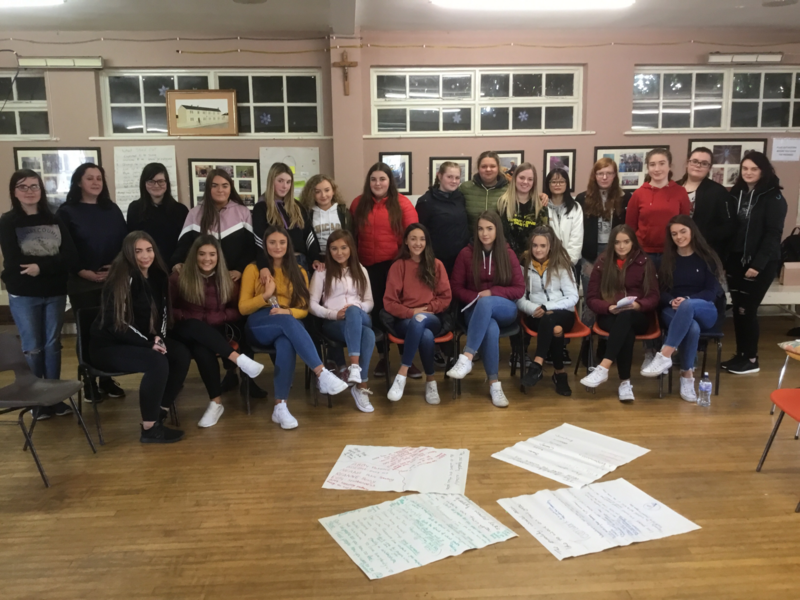 This week we had French, German and Spanish Leaving Cert Orals and also Junior Cycle Music Practicals. 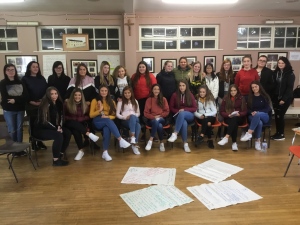 Woman day took place on Thursday 4th April in the Roscrea Youth Centre. Our thanks to everyone who facilitated the day. On Thursday 4th April the 1st ever inaugural ETB Camogie Blitz for 1st and 2nd years was held in St. Cronan’s GAA field Roscrea. 7 teams took part from 5 different schools. 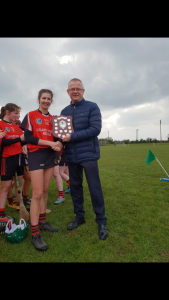 Coláiste Phobal emerged victorious in not only the Cup competition but also the shield competition. Thanks goes to Mark McLoughlin and Ollie the grounds-man for all their help in preparing for the day and thanks to Tara Rowan for providing refreshments for all. Well done to Mr Slattery, Ms Larkin and Ms O’Gorman for all their work in preparing and organising for the day.